Stan Parry Reports: I traveled with Holt's Military Tours for the 75th Anniversary of the Battle of the Somme. On our bus were two veterans of the battle with other, more recent veterans of the Hampshire Regiment. I will never forget getting off the bus at Flers and hearing George Louth say, "We came up this road in the afternoon, all of our officers had been killed, and held on until about one in the morning when we were relieved." 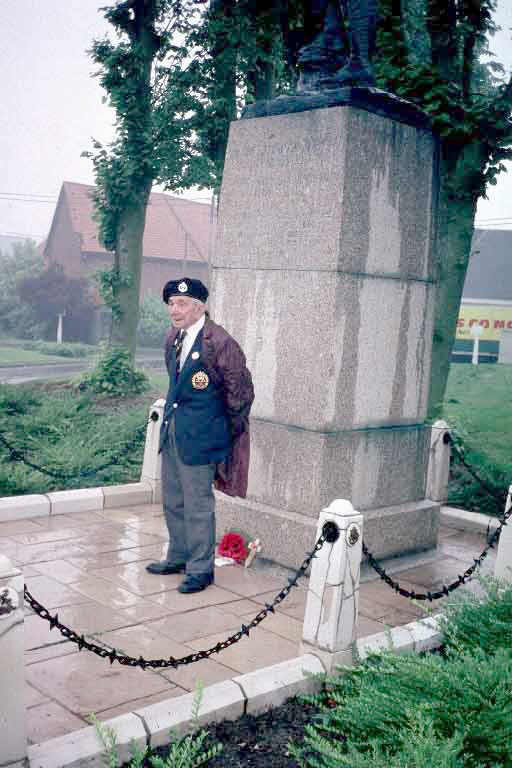 George is posing in the photo before the famous Tommy statue at Flers which also serves as the logo of the Great War Society.